Thought I'd enter a photo contest, something I've never done before but what the heck. Rebecca Lily's a talented photographer living in Ireland. Along with her fine photography she also produces and sells some really fine presets that can be used in both Photoshop and Lightroom. She's hosting a photo contest with "Storytelling" as a theme. The entry must be post processed using one of her presets (only fair) and if you don't happen to own any she will email you 5 Lightroom presets for free to use. (How cool is that). I've always been fond of this image. 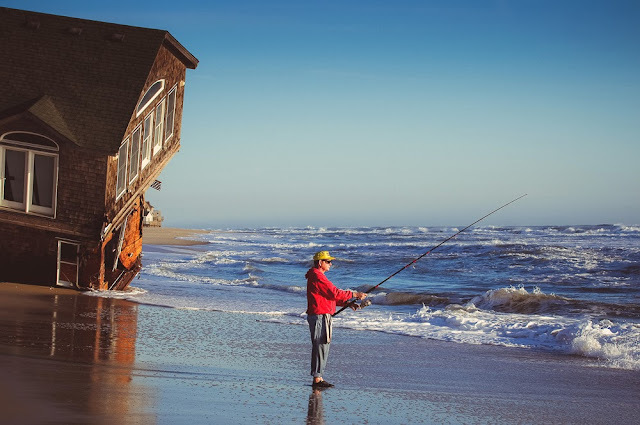 This was taken the morning after a violent nor' easter ripped along the Outer Banks of North Carolina the previous night.